Inno3D is a well known graphics card manufacturer that is slowly moving up in the ranks with its latest products with this time the iChill HerculeZ 3000 GTX 680. The card features a custom cooler that allows multiple configurations on top of it. With 3 fans cooling down the 680 each having 9 scythe blades on each fan maintains cooling efficiency under stress. The best part of this cooler in particular is that the fans can be disassembled for cleaning as well as changing their positioning. The overall design of the cooler consists of several large heat pipes bulging out from the sides while the density of the heatsinks themselves has been kept very dense as per to easily disperse heat from the graphics card. 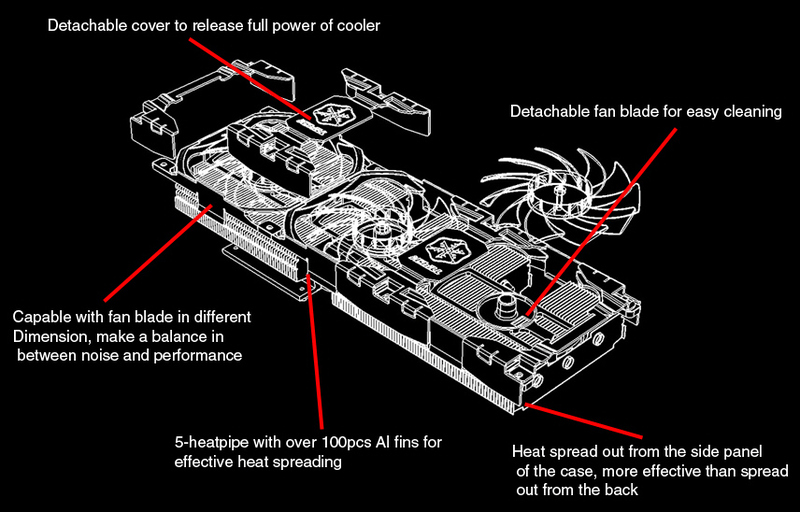 ColorFire Readies Custom designed Radeon HD 6850 GPU with Zalman VF-3000 Cooler.